An intraoral camera is a small video camera that takes images of the outside of the teeth or gums. The camera resembles an oversized pen with a disposable protective sheath for each patient. Dr. Massner inserts the camera into a patient’s mouth and gently shifts it about so that images can be taken from a variety of angles. The images appear on a computer screen so the patient can see them while being informed of Dr. Massner’s findings. 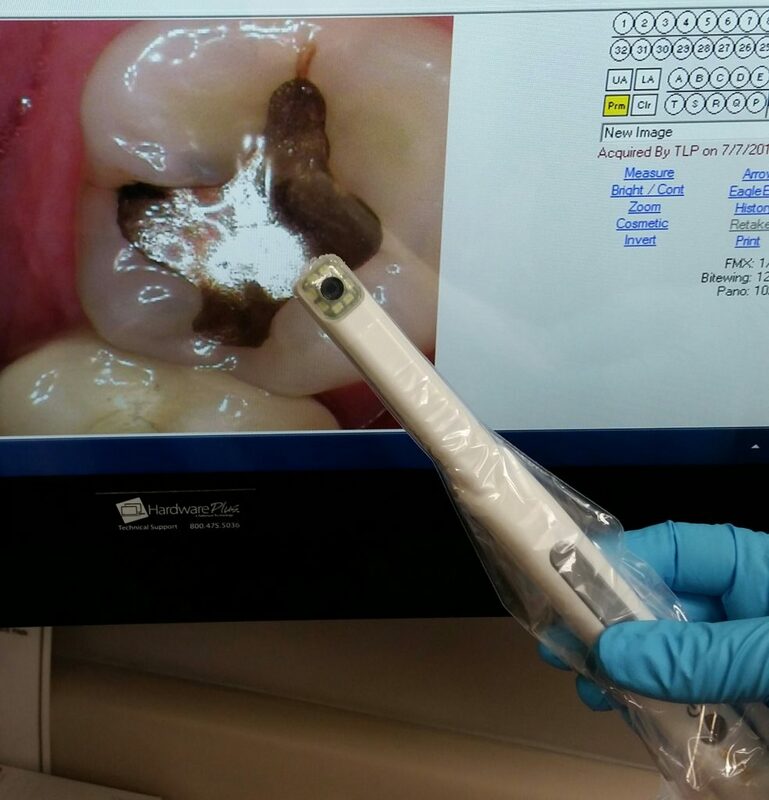 The intraoral camera is a great diagnostic tool as well as a fantastic educational aid.